A Review of MATE: Is It a True GNOME 2 Replica for Linux? 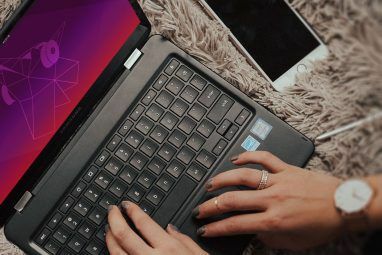 It’s already been well over a year since the initial release GNOME 3 Beta - Welcome To Your New Linux Desktop GNOME 3 Beta - Welcome To Your New Linux Desktop Read More of Gnome 3, and the world of Linux desktop environments has dramatically changed since then. Gnome 3 was born, Gnome 2 was essentially thrown to the side, Gnome 3 was forked to create Cinnamon, and so on. However, Gnome 2 wasn’t completely thrown to the side, as it its code is now actively maintained in another project called MATE. Is it stable? Is the experience exactly as Gnome 2’s? Let’s find out! Getting MATE on your Linux system isn’t very easy yet. Aside from any third-party repositories, barely any distribution currently offers MATE as a desktop environment option. If you’d like to have a go with MATE on your preferred distribution, you may or may not have luck but a few Google searches should provide you with a good idea if it’s possible and what to do if it is. So far, Linux Mint Enjoy The Best In Linux With Linux Mint 12 Enjoy The Best In Linux With Linux Mint 12 Linux Mint has been quite a revolutionary distribution, gaining plenty of popularity. In fact, DistroWatch statistics suggest the Linux Mint is now the second most popular distribution in the world, behind Ubuntu (upon which it's... Read More is the only one who is actively pushing MATE (as well as Cinnamon) as a desktop environment choice. 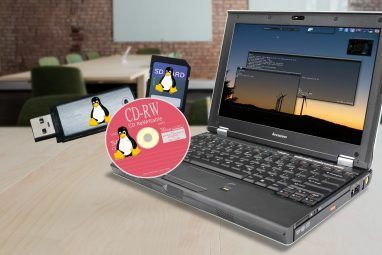 Therefore, this review will be based on Linux Mint’s implementation of MATE as it’s as simple as running the Live CD. You can download your own copy by visiting Linux Mint’s website. When the desktop first loaded, I was literally reminded of Linux Mint 11 and previous versions that still used Gnome 2 as it looks virtually identical. If I click around in the menu or right-click the desktop, everything looks as it used to. One of the most popular Gnome applications is Nautilus, which can also serve as a small sign if you’re using the real deal. When I open it up, it looks essentially the same, and the only real difference is that Nautilus is actually called Caja under MATE. We can live with that change, right? If that still hasn’t convinced you yet, an even better sign is whether the system settings tools that come with MATE are identical to those that came with Gnome 2. After clicking around in a few windows such as the Appearance settings, I can conclude that it is indeed the same. So is there a difference between Gnome 2 and MATE? Not quite (aside from a few name changes), but if you head over to MATE’s website you’ll see that they are indeed working on it with stability fixes and other smaller additions. In a nutshell, it will most likely mean that MATE will try to look as much as Gnome 2 as possible, but it will still evolve through active development. Therefore, it will look about the same (although there may be bigger differences down the road), but the code that runs it all will definitely be worked on. In the end, it’s up to you whether you want to stay on the Gnome 2 path and use MATE or switch to something else whether it be Gnome 3, KDE, Xfce XFCE: Your Lightweight, Speedy, Fully-Fledged Linux Desktop XFCE: Your Lightweight, Speedy, Fully-Fledged Linux Desktop As far as Linux goes, customization is king. Not only that, but the customization options are so great it might make your head spin. I have previously mentioned the differences between the major desktop environments... Read More , etc. In case you do choose MATE, you won’t have to worry about being left behind with updates as it is being actively maintained with new features and plenty of fixes. As such, it runs very stable and fast as you’ve come to expect with Gnome 2. What’s your opinion of the MATE project? It is worth keeping Gnome 2 alive? Are all these forks a good idea? Let us know in the comments! Explore more about: GNOME Shell, Linux Distro. Its a various accounts to make a better understand with a right move in the market to be used with better solution. Cinnamon crashes all the time. Mate does not. Sorry, i can't call this a "Review". Six sentences about possibly getting MATE installed, two sentences about the look of the desktop, three sentences about Nautilus renamed to Caja, and two sentences about the functionality of MATEs system settings tool. Followed by two short paragraphs about MATE looking like Gnome2 as much as possible and working stable. I'd call this text at most a "teaser", not worth reading it if you're already informed about MATE. And if you're not aware of MATE yet there are way more informing articles about it on the Internet. I'm sorry you feel that way, Miller. Would you like to share what other information you would like to have seen covered? I've been running Pinguy 11.04 waiting for Ubuntu grow up. But I gave Ubuntu a real shot after believing all the hype about how it now works: I don't like Unity. I gave Gnome 3, Classic and Gnome with Unity Panel, Cairo dock etc a try but they were all unstable. Lock ups and crashes. Just yesterday I gave up on (Debian) SolusOS because most of the packages I use or want simply don't install easily. I had to spend hours tweaking things to get them to run. I got so fed up with not being able to install things or find they are not in the repos and frustrated by many of the packages that are way out of date. But it looked pretty....But Debian? Too much mucking about. So I type this now on Mate. Some things like my wappaper changers don't work because they are looking for Nautilus to change the desktop - but it will come. I haven't really had any issues in using any of them when it comes to lockups and crashes. Any issues were more directed towards usability and ergonomics. I'm not sure I actually like what MATE or Cinnamon are up to. A lot of the tech underlying Gnome was a mess, which was why the Gnome developed refined the project. The problem with Gnome is Shell. No one really likes it. Gnome 3 with panels might've been the answer, but Shell is innovative and we should let the Gnome Team refine it and develop it and see where it goes. Cinnamon simply tries to tack the Gnome 2 Panel metaphor on a Desktop Environment primarily designed to use Gnome Shell. I am currently stuck with the wonderful Linux Mint 11 Katya. I don't want to be two versions behind, but I hated the Mint 12 Mate Gnome 2-alike desktop and 13's Cinnamon is flaky and clunky. For this reason build Arch with an xfce DE or using the off the shelf Xubuntu seem much better options. We should just leave Unity and Gnome Shell alone and see where they take us. If you crave a Gnome 2 like panel experience, xfce is not only lite and fast it is now pretty, and I always said pretty was a feature. I've personally always thought Cinnamon was a curious project. I didn't like it as much in LM12, but it looks better in LM13. I do understand your point. MATE, Gnome 2 on Debian, Xfce, LXDE...the list goes on and on for alternatives. After testing Ubuntu 12.04 Unity, Linux Mint 13 Cinnamon and Linux Mint 13 MATE i found MATE as the most stable and reliable. What makes me choose MATE as a default OS of my PC was the lack of Cinnamon and Unity to customize the desktop. I kicked out Ubuntu and let Cinnamon stay beside MATE. However these is one thing i dislike in MATE - the Bluetooth issue. So far i haven't found solution for that problem. I didn't work. Can anybody explain is it my Nokia 3120 Classic -mainstream mobile phone - or Mint 13 MATE reason for this issue. Do i have to install some extra packages? Is there any other Bluetooth package with which it works? I am happy about MATE. I really want this in the official Repos of all the Distros, not only Mint. I pretty much didn't have to mess with Gnome3, Unity or KDE beside some testing because I use Debian with Gnome2. I realised I didn't need more that Debian provides and so this whole Desktop-Breaking doesn't really affect me or my System. Yes, I consider these broken Desktops. If Debian doesn't include MATE for the next release I'll probaly have a problem. On the other hand, there is still time for me to relax and watch. I suppose we'll have to see if MATE gains traction. Otherwise the chances are a bit slim. I'm very curious as to what will happen as well. Especially how many users will simply choose to live with the changes. I'm not sure either. I think it is because it is running on top of GNOME 3; I know Ubuntu 12.04 is. GNOME 3 seems to be a problem. I haven't done any timing on things yet but will when I get a chance. Interesting note: I tired playing the DVD "Thor" in Ubuntu 12.04 but couldn't play it with Unity 2D. With Mint 13 I could. thats codec issue..............installed in MINT by default................in UBUNTU just install "ubuntu restricted extras"
I agree with limon that the DVD was probably a codec issue. I've been using MATE since it first came out. I like it. I use it on my Dell 4600 with 2 GB memory and a very low end video card. I multi-boot Mint 13, Ubuntu 12.04 Unity 2D and Ubuntu 10.04. Mint 13 seems a little slower than Ubuntu 10.04. It is quite stable. It sets up similar to Gnome on 10.04. The transition is quite simple so far. No complaints. I'm trying to like Unity but it is making it difficult for me. Mint seems to be working at being a computer desktop, to do one thing well, and not do all things badly. I'm glad to gear that you're enjoying Mint 13. I'm a little confused why it is slower than Ubuntu 10.04 as it's nearly identical aside from newer package versions. What means "slower"? I've checked some figures of memory hogging and it looks like especially Chromium guzzling more than before. Without any application opened mem usage showing some 200 Mib, opening Chromium with seven tabs and seven different websites there, mem usage over 640 Mib. Firefox 13 is much more "inhibited ". I'm not sure what's making Earl's install slower. Gnome 2 is and will always be Gnome 2. Mate is yet another desktop environment. I have left ubuntu, been with since there inception. I moved to Vector Linux. A distribution that's fast, and puts you back in the drivers seat. Set apart from the unity and shell world. The way Linux Is Meant To Be. Unity and Gnome shell were not written for the desktop, they are just appeasing there users for the time being before they both abandon desktop pc's all together. I'm not quite sure if I've heard of Vector Linux before, but I need to check it out. Thanks for mentioning it! I believe the idea was to attempt to make it work for both. Some will say it was successful, other's won't. Sadly there's no absolute answer. If you think Vector is fast and "puts you in the driver's seat" then you should try antiX or Siduction. They leave Vector in the dust. Although Vector IS an improvement over Ubuntu and all of its variants, both in speed and in amount of control it gives to the user. Mate is pretty good, and has come at just the right time. 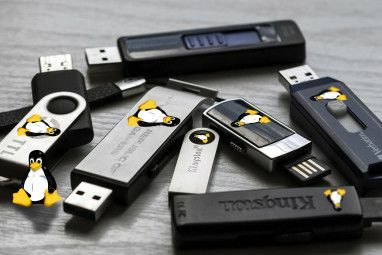 I have run several distros (mainly Mint) of Linux whilst I learnt about it, in VirtualBox and on my old laptop. The ancient laptop is the best testing ground, as I have watched the distros get slower and more unwieldy to use with each new release from Mint 9 onwards. The reason is largely the front ends, of course. Gnome 2 was fine - very few people seemed to complain about it. The Mint system was a considerable improvement over the basic layout. So, what do the devs do? Change it for something trendy, buggy and slow - what else? Although Debian Stable is still pretty good, Mint Debian is messy and the bugs are yet to be all ironed out. Unity is dreadful. Gnome 3, like Unity, wasn't (still isn't?) ready for release, although it was better. The only way the situation could be worse is if they ported Metro across from Windows 8...Urrghh! Then Mint 13 appeared with Mate, just in time to sit nicely on top of a LTS Ubuntu release to give a LTS Mint. A couple of minor bugs have already been ironed out, and already it looks refreshingly familiar, and pretty stable. It runs OK on my ancient laptop (not as quick as Mint 9) but well enough, and as a LTS version, will now stay there for years. The few functions missing from Gnome 2/Mint 9 will no doubt be added soon. The even better news is that if you like running Ubuntu itself, you can add the Mate repositories and use Mate instead of the alternatives.Oh, just a minute, that's Mint 13. The move might've possibly been made because Gnome 2 was so familiar and old that something new had to come eventually. I know that the result that came out was/is controversial, but in the optimist's mind, people now have even more desktop choices. It's all up to the user. That's very true about Debian, but a part of why it's so stable is because the Debian maintainers don't update their packages during a release at all, aside from some security and stability updates. For example, during the entire release cycle of Debian 6, Firefox/Iceweasel will stay at the exact same version, which I believe is still 3.5. Only when Debian 7 is released and you upgrade to that will you get a newer Firefox/Iceweasel version. Yes I could add an additional repository to add it, but in that sense I could also just enable the testing repo. Then it's no longer the stable release, however. Some people will say yes, others will say no. Considering that MATE (in its Gnome 2 form) was the main desktop of Ubuntu before Unity arrived, it can't really be easier than itself. However, compared to Unity...you'll get mixed answers. I'd say yes, but not by much. It's been a year of upheaval for Linux folks, particularly those that run a Gnome/Ubuntu environment. Like so many others, I fled Ubuntu to Mint exasperatedly when Canonical shifted to Unity. Then the Gnome2->Gnome3 schism made the pot even more stirred up than before. MATE seemed like a bad path to go down, so for many months I've been running Mint LXDE just to get off the Gnome/Unity ugliness. While I love the LXDE snapiness, it's unfortunately too lacking in customization options. Amazingly, after all of this frustrating back-and-forth, which I really wish I hadn't been subjected to, the desktop that I'm coming back to is of all things...Unity. I installed the latest Ubuntu on a VM and was really surprised at just how much better, stable, and usable Unity is now than on its ill-conceived initial launch (which was just an alpha-level wolf release in major release sheep's clothing). I think Canonical got bit really badly by Unity at first, but if it keeps going on this stable path, I think they will win a lot of users back. Further, it does actually appear to be the most reasonable desktop UI I've seen to be friendly to both desktop and touch interface (i.e., tablet). I don't know if we'll ever see an Ubuntu tablet in the consumer market, but I like what I see in Unity better on this front than either OS X's latest moves to unify with iOS look-and-feel (good for touch, crap for desktop), or Windows 8 (I predict the backlash will be massive on that one; have they completely forgotten their bread and butter are business users?). Unity is definitely an interesting shell...it does look better than when it first debuted, I agree with you on that, but it hasn't exactly won me over yet. I'll use it, but it hasn't been my favorite so far. I tested Ubuntu 12.04 Unity, it works fine and is stable. However i don't like the desktop itself. It looks like i'll never get used it. That's why i'm not coming back from Mint. I've space for three distros. One for Mint MATE, one for Cinnamon (for seeing is it gonna be more stable later) and one for some brand new KDE one in future. You know you could combine all three installs of Linux Mint by simply choosing one and then installing the other two desktop environments on that single install? It would probably make your life easier by consolidating files and installed programs.